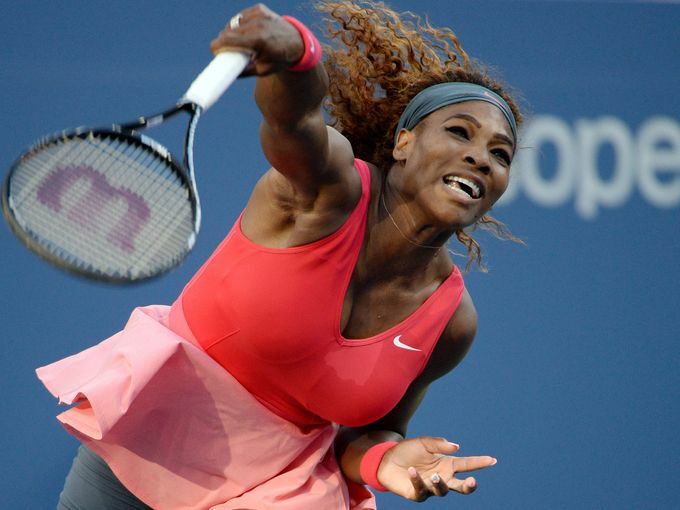 Even strong winds couldn’t stop tennis’ No.1 ranked, Serena Williams in Sunday’s US Open finale. To earn her 17th Grand Slam singles title, Serena had to overcome strong winds and an even more persistent No. 2 ranked, Victoria Azarenka. Sunday’s final was characterized as the hardest match during the entire US Open tournament for Williams but, shouldn’t that be the case? This is the Finals! A head-to-head match-up between the World’s number 1 and number 2 ranked female tennis players, it should not be an easy victory. Azarenka, a warrior in her own right, gave Serena her toughest test. Serena claimed her ninth tournament, moved closer to the top of the history books, and continued a great year in tennis with her defeat of Azarenka 7-5, 6-7 (6-8), 6-1. Serena Williams is only one Grand Slam singles title behind Chris Evert and Martina Navratilova on the all-time list. Serena is line to be the greatest female tennis player of all-time if she continues to compete at her current level. With Sunday’s victory, Serena tied Roger Federer with title No. 17, how cool is that? This marks Serena’s 5th US Open title. Serena is the Michael Jordan of tennis (in terms of competiveness), a champion, and a joy to watch! In case you missed it on Friday, Venus and Serena Williams were defeated in the semifinals of the U.S. Opens Women Doubles Tournament by Andrea Hlavavackova and Lucie Hradecka [4 – 6, 2 – 6]. A. Hlavavackova and L. Hradecka would eventually became the 2013 Doubles Champions.